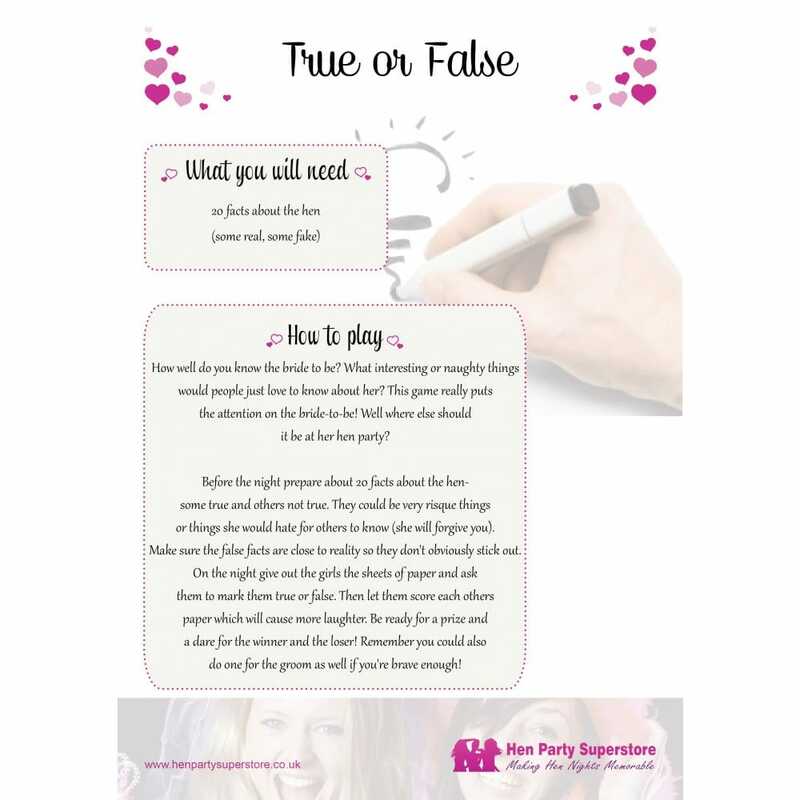 True or False is a party classic that we all know and love. Prepare a list of facts about the Bride, some true, some false, and test the hens on their knowledge! Perhaps prepare some forfeits for those who guess incorrectly, such as an obligatory shot or a dare.